When we think of islands, we think of escapism, perfect beaches and the ultimate opportunity for relaxation. The Italian islands give us glamour, seductive cuisine and unique island landscapes. Italy has over 450 islands large and small, including sea, lake and river islands. If you’re asking yourself where in Italy should I visit? See below the top 5 most beautiful islands of Italy. Off the coast of Sicily these Italian Islands are a collection of tiny volcanic islands. Rising out of clear blue seas, these idyllic islands are worthy of film sets. The island of Vulcano (which has a visibly smoking crater) is said to be the chimney of roman fire god Vulcan’s workshop. 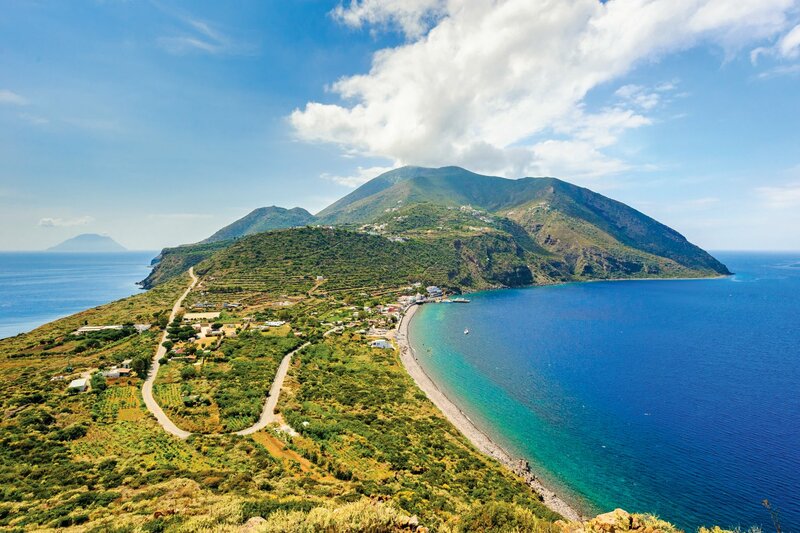 Best time to visit the Aeolian Islands:With long summers and no crowds, these islands are perfect to visit from April to October. What to do in the Aeolian Islands: There are 7 main islands to visit (Vulcano, Salina, Lipari, Panera, Stromboli, Filicudi and Alicudi), all can be visited on boat trips. The islands volcanic springs and mud baths are said to have healing qualities. 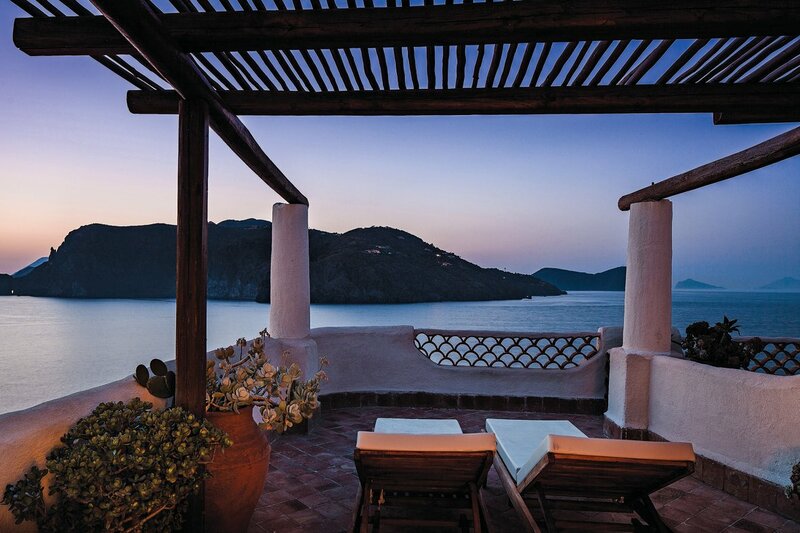 Where to stay in the Aeolian Islands: Watch brilliant sunsets and indulge in healing spa treatments at Therasia Resort Sea & Spa in Vulcano. Sardinia is quite simply heaven. Long white sand beaches are met by clear turquoise waters. Pretty rock formations provide a delightful contrast, creating the trademark patchwork of colours seen in Sardinia’s waters. So overly tempting is Sardinia, you’ll only believe it when you see it. Best time to visit Sardinia: For luxury family holidays the weather in July and August is very inviting. Sardinia enjoys long summers; for a beach retreat you can still find warm weather in April and late October. What to do in Sardinia: Visit some of Sardinia’s natural wonders such as Neptunes grotto and the Maddalena Archipelego. 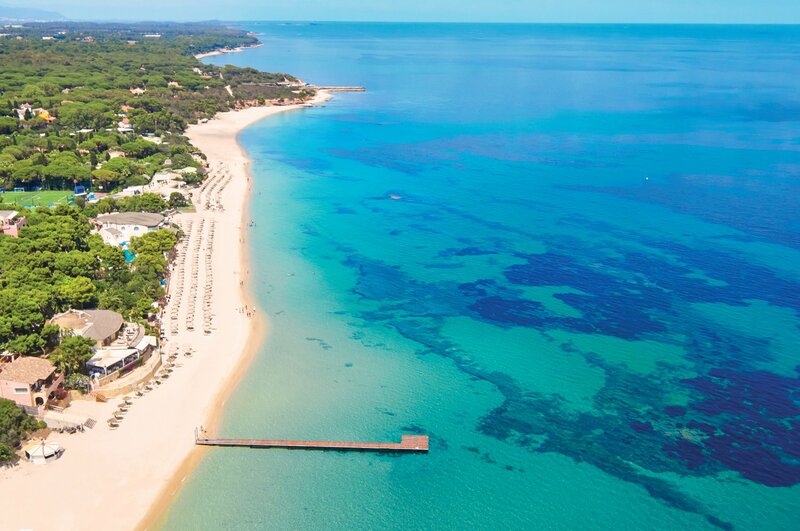 For luxury holidays in Sardinia you’ll find beaches, yacht clubs and nightlife in the luxury resort of Costa Smerelda. Where to stay in Sardinia: In a perfect position to enjoy the beach, Hotel Relais Villa del Golfo & Spa is a superb luxury hotel. Sardinia is also great for couples, read our top reasons to visit Sardinia on a romantic getaway. The unique culture is made up of Italian style, fascinating history and a slow paced Mediterranean charisma. The seductive coastline of Sicily is dotted with secluded coves, volcanic rock formations and a mix of sand and pebble beaches. Just as diverse as its coast, the inland is laden with flowery mountain meadows, lush valleys an the alluring smokey hull of Mount Etna. 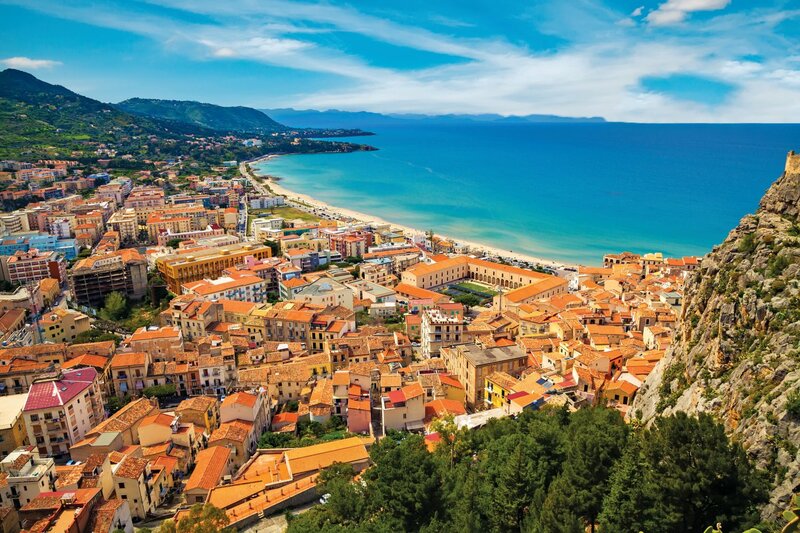 Best time to visit Sicily: Sicily enjoys a Mediterranean climate with mild winters and long summers, with a warm breeze from North Africa. What to do in Sicily: Don’t miss the arty and youthful city of Palermo or the humbling Valley of the Temples. Take a step on the indulgent side with wine tasting or buckle up your walking shoes and take on Mount Etna. Beautiful Taormina has pretty buildings hidden behind vines and colourful flowers. Read our post for more things to do in Sicily. Where to stay in Sicily: San Domenico Palace hotel is a converted monastery, providing an enchanting atmosphere in which to enjoy the delights of a luxury holiday to Sicily. Volcanic beginnings and plentiful colourful gardens make up this pretty, un-hurried island. Ischia is a haven for hikers and beach lovers alike, with stunning landscapes including the famous fumaroles and warming thermal springs. The calm sandy beaches and lush vegetation create the typical island cliché, making it one of the most inviting Italian islands. Best time to visit Ischia: Spring in Ischia is highly pleasant with colourful blooms which fragrance the air. Following suit with the rest of Italy, Ischia enjoys mild winters and long warm summers. 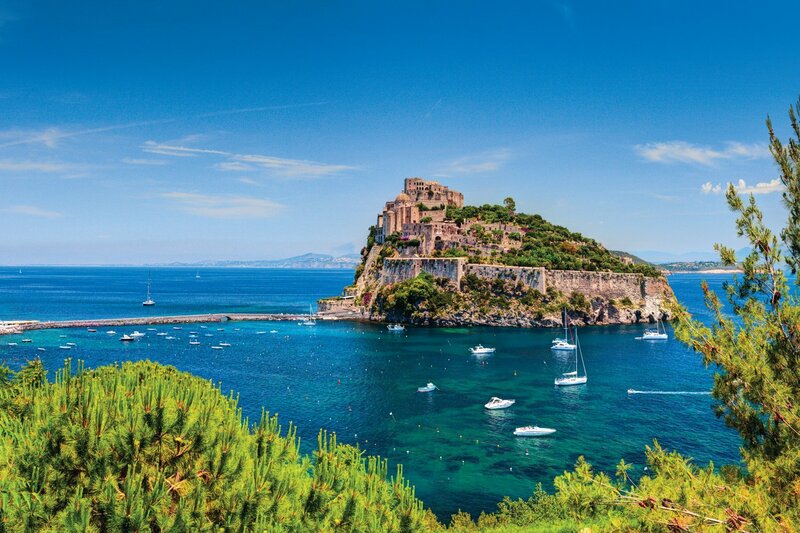 What to do in Ischia: For lovers of hiking and nature, Mount Epomeo is a rewarding hike and La Mortella panoramic gardens are a great way to get a snap shot of the islands beautiful flora and fauna. For a snap shot of history, Aragonese castle is an impressive medieval castle. The most popular past time is to simply enjoy the luxury lifestyle, with yachts, beaches and superb cuisine. Where to stay in Ischia: Right in the heart of a fashionable lido area, Il Moresco Hotel offers a relaxing stay in a beautiful garden setting. A luxury jewel in the Mediterranean. The captivating island of Capri is filled with Italian glamour and the perfect dose of paradise. Its wild cliffs and scented blooms create a seductive atmosphere that will leave you wanting more. The peaceful vibe has long charmed the elite who flock in the pursuit of self indulgence and luxury. This Italian island is a cocktail of quaint piazzas, swish cafes and exclusive yacht clubs. 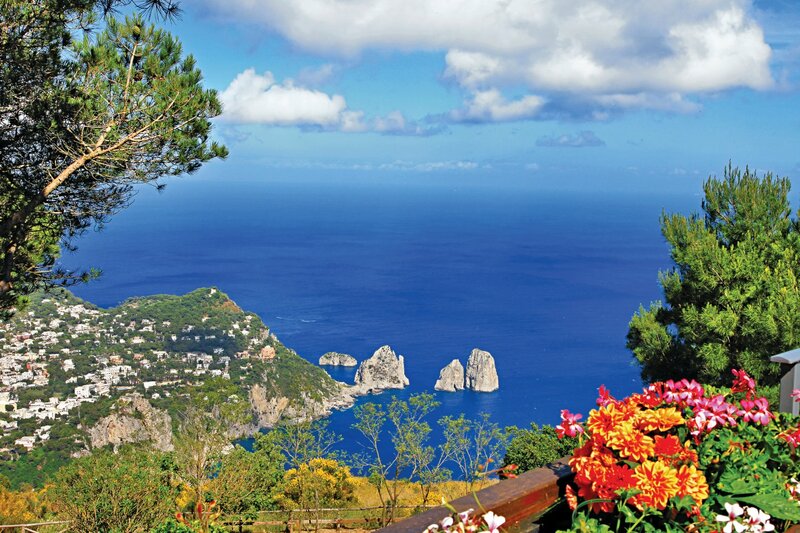 Best time to visit Capri: The main tourist season runs between April and November. In winter you’ll find a more authentic and sleepy side of the island. What to do in Capri: Rent a boat, shop in luxury boutiques and visit the islands stunning beaches. You can discover the Blue Grotto sea cave, where the sunlight creates fluorescent blue waters. For an unforgettable view of the island take the chairlift up Mount Solero and float high above this beautiful island. 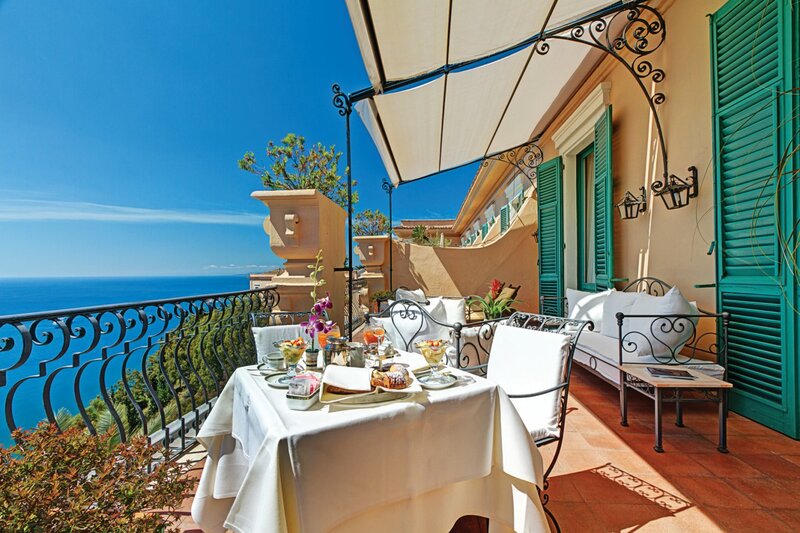 Where to stay in Capri: Sophistication, glamour and pure luxury, the Capri Palace Hotel and Spa in Anacapri offers magnificent views and exceptional high service. View from bathroom at Capri palace hotel. Have you been to any of Italy’s islands? which is your favourite?